I found this sizable chunk of wood at a barn sale in central Ohio. What an aged and distress exterior! But it could not hide the obvious treasure that resided within. My bet was that it grew in up in California and I could foresee a highly figured Redwood sculpture. My design intent for this piece was to strike a good balance between positive and negative space. 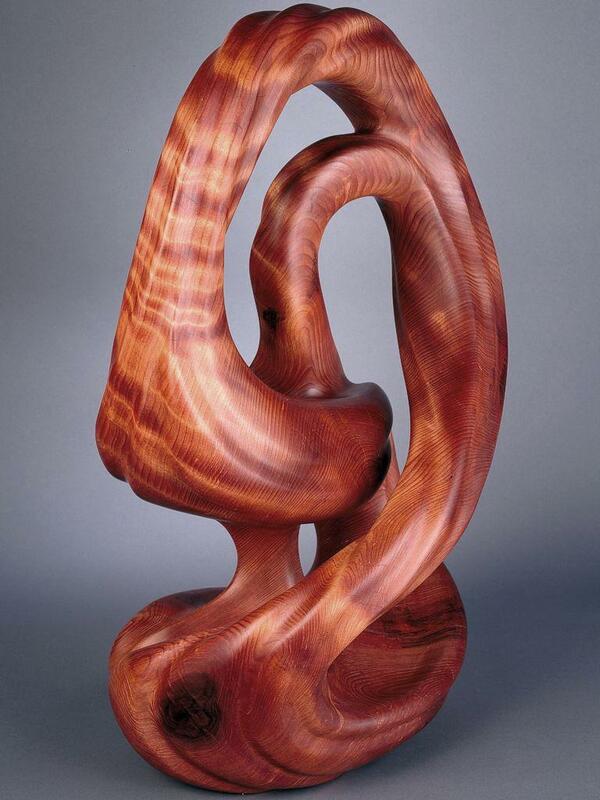 To capture as much of the figurative elements of the wood as possible. To impart a sense of organic life. Sinew-in-motion kept coming to mind. There was also a feeling of opposites which I played upon…between the high polished finish I coaxed out and the aged (organic) drying cracks that Nature provided. I think this is recycling at its finest.